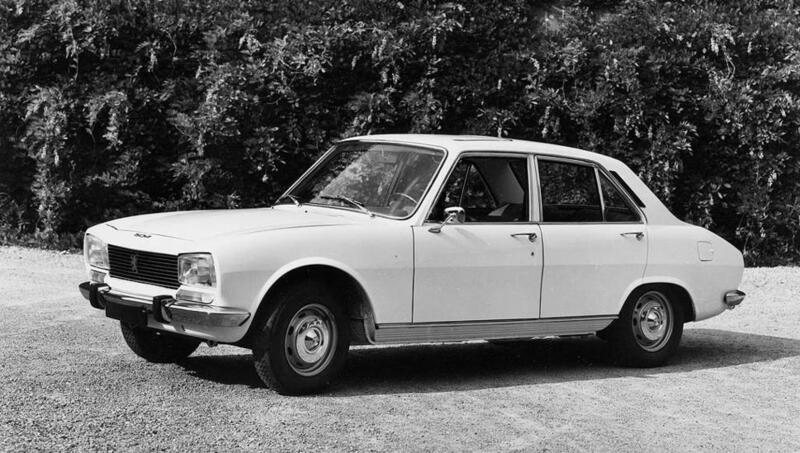 The Peugeot 504 is turning 50 this year, having been released at the Paris Motor Show in October 1968. The company’s new flagship sedan succeeded the 404 model, and exceeded it in every dimension. It was a class above, styled in collaboration with the Italian designer, Pininfarina. With a larger body and plush interior, it was by far mechanically superior, having 4-wheel independent coil suspension, 4-wheel assisted disk brakes, and a 1.8 litre engine upon release. The 504 upheld Peugeot’s values of evolution not revolution, yet with a durability that would have this model excel in some of the toughest conditions in the world. Sedans were available with mechanical fuel injection for performance, and diesel for economy. Designed to take on the European heavyweights, particularly the Germans cars, the styling was polarising. Most people loved the trapezoidal headlights, said to resemble the eyes of Sophia Loren, but quite a few did not like the droopy tail. It did, however, win the European Car of the Year in 1969. Variations soon emerged, with the stylish coupé and cabriolet versions appearing at the Geneva motor show in early 1969, and the wagons following soon after that. There were in fact 3 versions of the wagon, with a 7-seat familiale, and down-spec workhorse commerciale version. Wagons had the solid rear axle. By 1971 the 504 motor was upgraded to 2 litres, and the cabin received some modifications that we now take for granted, notably floor-mounted gear change, and centre console with handbrake. This is the config that first arrived in here, with some local assembly being performed by Renault Australia. The 504 enjoyed remarkable domestic sales, and great export success, particularly in Africa where it became (and in some places remains) the staple form of transport. Legend has it that to cross the Sahara, authorities would allow only 4WDs, or 504s! In 1974 the 2.7 litre V6, developed with Renault and Volvo, found its way into the 2-door versions. Whilst never factory-fitted to the sedan, that never stopped people from doing it privately, and with a later 5-speed gearbox, made a tasty little modification. The ruggedness of the 504 lent itself to rallying, particularly due to its ground clearance and traction. The factory prepared both sedans and coupés for the notoriously difficult African events, as it had done for the 404 as well. The 504’s African rally career started in 1969, not long after its release, and reached its peak in the mid-1970s. Between 1974 and 1978, the 504 Ti injected model and the V6 coupé, won the Safari, Bandama and Maroc rallies, some of which were rounds of the WRC, and one was even the longest WRC event ever. One of the co-drivers was a certain Jean Todt. As well as those 3-day events, the 504 contested many long-distance rallies, such as London to Sydney, and scored 2nd, 3rd, and 4th in the 1974 World Cup Rally. It even contested the Paris Dakar, back in the day when it actually started in Paris. In the late 1970s, the 504 received various styling and practical upgrades. Those years sawy the introduction of such creature comforts as inertia reel seat belts, power windows, even air conditioning. The changing shape of cars was reflected in such things as colour-coded bumpers, and gradual mechanical improvements meant minor (but welcome) increases in power and torque. These late models were selling in Australia for about $6000, and by the late 1970s we even got the diesel here. Ironically, a good condition example will sell for about the same now as it did then. With such a sturdy base model, it is no surprise that over the years, the 504 was modified into some 20 variations. As well as the factory-made sedan, wagon, cab, coupé, and a whopping 1.3tonne ute, they also made an American version sedan, with large bumpers and 4 headlights. The factory also produced the rally versions of the injected sedan and coupé, and in Argentina, a joint venture assembled local versions with restyled rear end, including plenty of bump protection. Various French after-market manufacturers weaved their magic to create some weird and wonderful models. Dangel produced the 4WD wagon and utility, Heuliez made an ambulance and hearse, there was a camping car, a Pope-mobile, and a 3-door version of the coupé. There was even a fire truck! The Chinese joint venture made a 4-door ute (ie king cab) and a long-bed ute, which sold widely through south east Asia. Locally, favourite mods were the 604 front end, the 5-speed gearbox from the 505, TRX wheels and tyres, and a few V6s were fitted. We even saw a 504 fitted with a 4.4litre V8, from the P78. Import ceased in 1980 with the arrival here of the 505, but French production continued until 1983, and in the larger African countries, new 504s were being made up until 2006. In all, over 3.7 million were made. Rust in pieces!